Majestic eagle, furry squirrel, baby bear, and more-any one can leap from a cute ball of playfulness to a potential attacker when injured and feeling especially vulnerable. Yet, as Ann Southcombe relates time and again , we do them and ourselves-injustice in ignoring their true essence. Decades of intimate interactions with a wealth of animals have shown Southcombe how wonderfully they respond when treated, instead, with understanding, love, and respect. These inspiring stories will touch your heart, send a tear down your cheek, and bring a smile to your face. 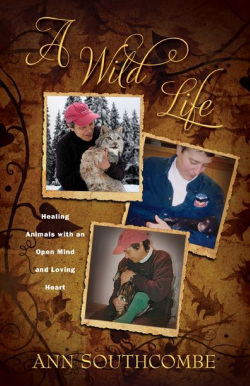 "A Wild Life" will forever change your view of all animals and reinforce the connection we share with all life.